Knowledge is Peace of Mind"
What is Special Education (SAI)? 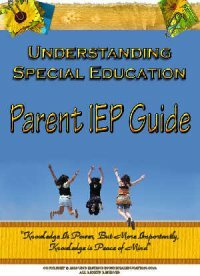 How do you communicate with your child's IEP team? How can you help your child achieve academic success? What do you do if you don't agree with your child's school? Maybe you have a child whose been newly diagnosed with a learning disability or your child has an IEP but you don't feel it's effective. I receive hundreds of emails each month from parents who do not fully understand the IEP process nor do they know how to be an active member of the IEP team. so that you can make the best informed decisions for your child. That is what this site is all about. Just use the navigation bar or the site map to browse through the site as I have over 60 pages of information. For those of you who prefer a printed version, this information available in a PDF Download or you can purchase a hardback version of the website on Amazon. Simply click on the books located on the right. "I love having the written version of this website. 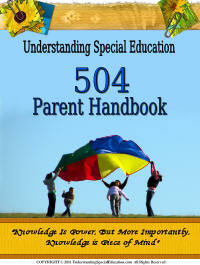 I can bring it with me to IEP meetings and read it anytime." If you have a question about your child's education, CONTACT US and I'll get back to you within 24 hours.